Our Level 1 and Level 2 gymnasts show off their awards and new leotards at the Hunter 1-3 Competition held over the weekend. Congratulations Girls we are very proud of you. 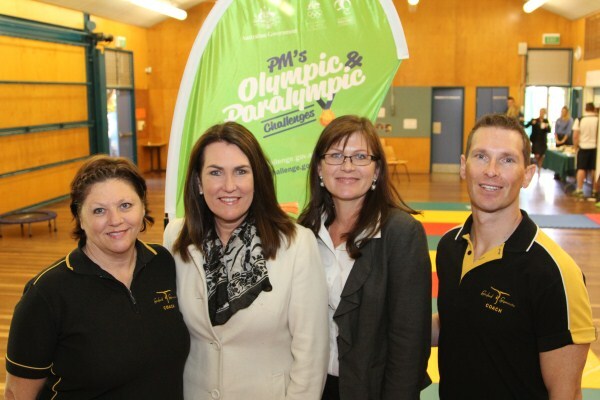 Karl & Lesley ran a Active After School lass at Chertsy Public School this week when the minister visited as well as other dignitaries and Olympians. 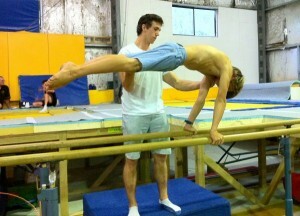 We had a great time with all the kids and the minister praised us and the children for the great gymnastics class. Coach of the Month for APRIL – Candace !!!! Congratulations to our Cheer Coach Candace. Candace always gives 100% effort when coaching our Cheer Squad. Her enthusiasm and dedication shin through in her positive attitude towards coaching our Cheer leading teams. Well done Candace, we are lucky to have you as part of our coaching Team. If you would like to come along and have a go…we are running classes for Acrobatics (beginners) on Wednesdays 5.15-6.45 and Fridays 4.00-6.00pm. Everyone is welcome nomatter where you are from or what gymsport you have done! We would love to see you come in and have a go. Boys Competition Classes have started!!!!!!! Wow!! 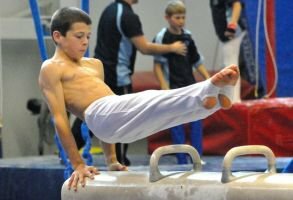 Great News – We are pleased to announce, Gosford Gymnastics have now started competitive MG ( Boys) Classes. The boys classes will be held on Mondays, Tuesdays & Saturdays. If you are interested in trying a class, Please call us on 436 55545. Check out the new gym timetable: Click Here! If you have any questions please feel free to phone the office 02 4365 5545. Here are the gymnasts who are all competing in their different gymsports over this weekend. we wish you all the very best of luck. Have fun and try your best. These gymnasts have all been training hard and will be competing in IDP, NDP, Trampoline, Rhythmic, and Acrobatics. The smiles on the faces of these gymnasts says it all as the 11 NSW Bronze Squad members from Central Coast Elite Gymnastics Academy pose for this shot. 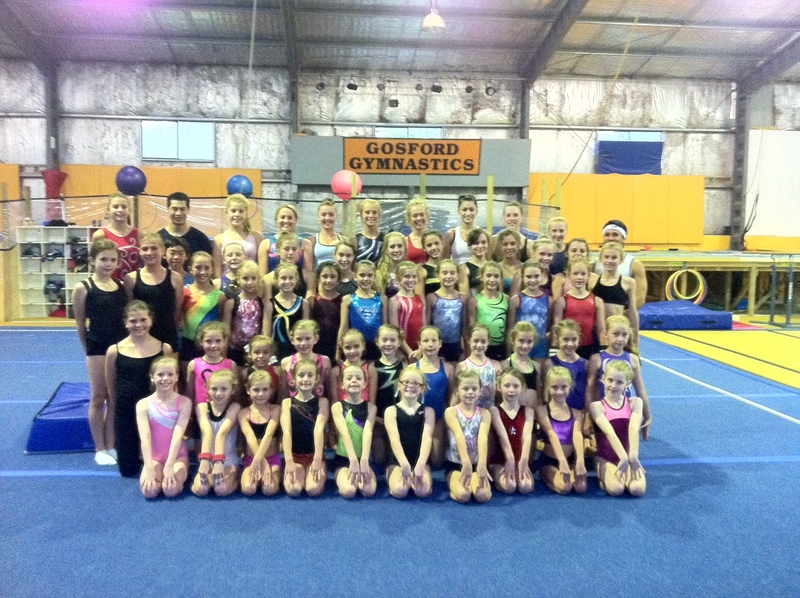 The girls were attending a training camp for the NSW Bronze Squad members in Barrack Heights on the weekend.